1 of 1 Fill a cocktail shaker with ice. 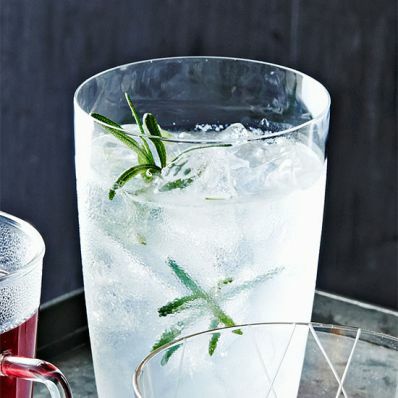 Pour in gin, lemon juice and Rosemary Simple Syrup. Shake 1 minute. Pour into a highball glass over ice. Stir 1 minute. Top with seltzer and garnish with rosemary. 1 of 1 Combine 1 cup sugar, 1 cup water and 1 sprig rosemary in a small pot. Bring to a boil and simmer until sugar is dissolved. Cover, remove from heat and steep at least 15 minutes. Let cool until using.